DataEngConf is the first technical conference that bridges the gap between data scientists, data engineers and data analysts. Conference talks focus on examples of real-world architectures, data pipelines and plumbing systems, and applied, practical examples of data science. While we run a robust service today, it took a lot of effort to get here. Early on, we uncovered a variety of failures scenarios. One such problem was surfaced when a large number of concurrent admin commands, such as topic or consumer group creation, would cause a cascading broker failure. Our users would then observe not only enormous latencies around these admin commands, but also see a considerable drop in throughput until our infrastructure automatically recovered. It was important for us to address this because it would only get worse as our user base grew. Once we overcame this hurdle, we discovered another problem later on where brokers would fail when a large number of users would constantly go above their quota. This was in part a result of our decision to leverage quotas to ensure our users could coexist and behave among each other. 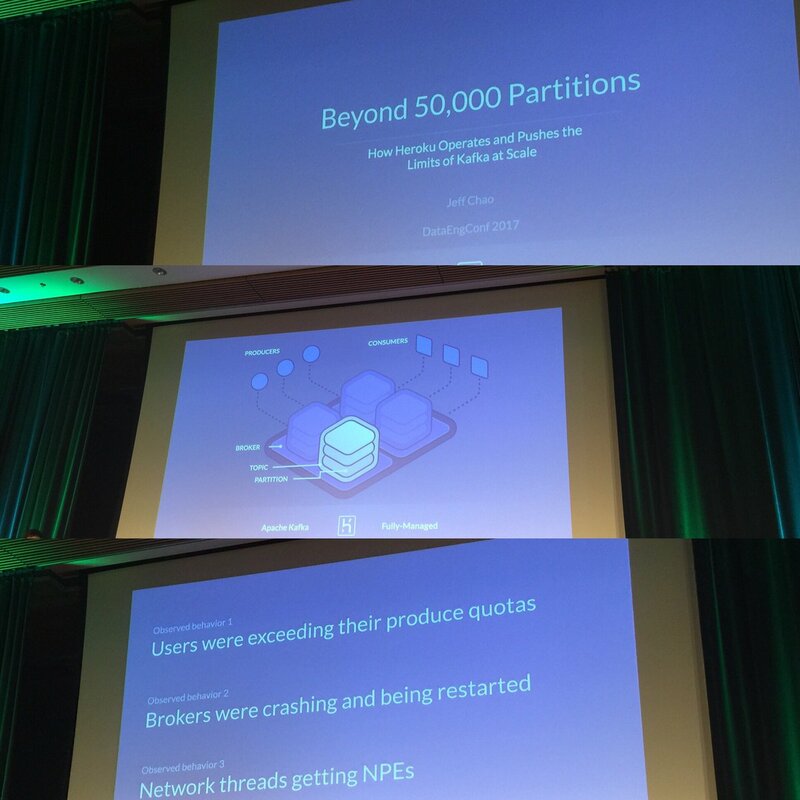 However, it turned out to be another case of cascading broker failures since the underlying quota implementation, based on traffic shaping, had a memory leak that caused out-of-memory errors one broker at a time.